First Friday in Downtown Milledgeville is coming up this Friday August 3rd and the Theme is Back to School Blowout. There are lots of activities planned so be sure to come downtown and check it out. 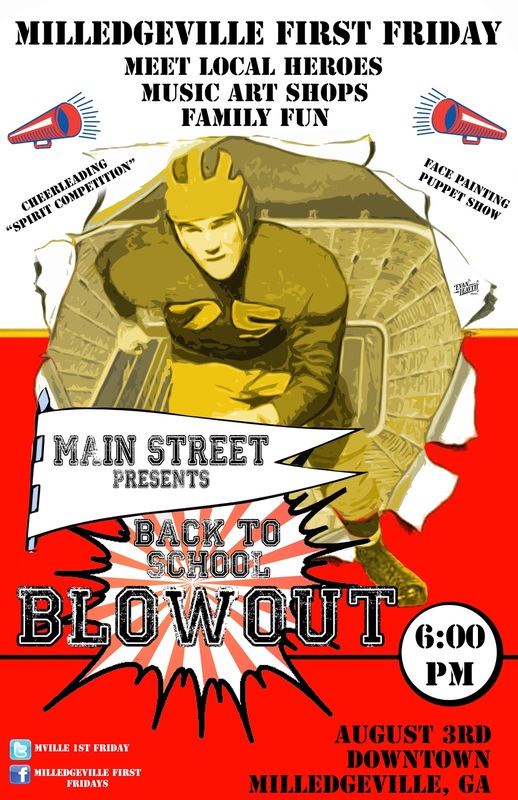 There will be something for everyone including lots of Outdoor Music, a "Spirit Competition" between local Cheer Squads, and a chance to meet and greet Local Heroes in the Post Office Parking lot. There will also be lots of children's activities including a Puppet Show and Children's Art Projects along with Face Painting and much, much more! Be sure to stop by OCT and check out the vintage goods while you are out and about in Downtown Milly--You don't want to miss all the Fun!